Shop for rare antique carpets whether you are in the San Francisco Bay Area, across the U.S. or virtually anywhere in the world. Visualizing how your potential carpet choices will look in your home has never been easier with our numerous presentation tools. 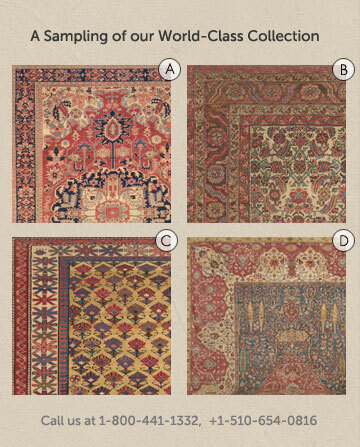 Claremont Rug Company offers a selection of convenient shopping options for its International clientele. We are local to you – regardless of where you reside. Our website is the ideal tool to rapidly educate and familiarize yourself with the world of antique Oriental carpets, offering abundant and easy-to-digest information on the numerous carpet styles available to your project. Over 5000 of our carpets are available for you to browse online at your leisure, with full-size, color-accurate high resolution images only a click away. All can be easily sorted by size and carpet type, to make your search eminently manageable. You can organize your choices on your own Wish List that is there for you to return to for up to 3 years. As you explore freely through our gallery, carpets of special interest can be flagged and added to your personalized wish list. As you hone your taste, these wish lists can record your favorites,and can be effortlessly forwarded to a designer, architect, spouse or friend with whom you would like to share. Of course, there’s no need to become an expert overnight.  Our expertly trained staff always stands ready to assist you, without pressure or obligation. Even with only a handful of your selections as a guide to your preferences, our experienced consultants can quickly present you with a wealth of similar candidates, via email or in a tailored photo presentation! Visit Our Digital Gallery to see our vast collection where you can shop online, create Wish Lists of rugs, request photos and rugs to be sent on approval, schedule a home presentation or contact us to make individual shopping arrangements. We also have an extensive online Antique Oriental Rug Educational Section that discusses Decorating with Antique Carpets, Collecting and Connoisseurship, a Nine-point Methodology for Determining Quality and Artistry, Main Categories of Antique Carpets, Antique Persian Carpet Care and much more. Your visit to our website gallery, phone consultation or email communication with one of our carpet consultants is followed up with high-resolution, color-accurate images of your rug choices either as digital files, 8×10 photographs or both. We can Photoshop your rug choices in place into an image of your room if you provide 3-mg files from your smart phone or digital camera. Considering the tremendous impact that well-chosen antique Oriental rugs have on a room, many clients choose one of our two trouble-free methods of seeing rugs in situ before coming to a decision. 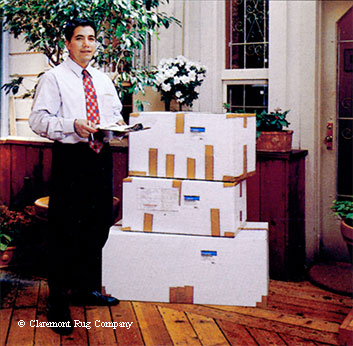 Over our more than three decades of business, we have made shipping on approval efficient and economical. No matter what the size, all rugs arrive folded in sturdy boxes. We ship the carpets you are interested in via Federal Express. Or we can arrange for a local logistics firm to lay out the carpets in your room, then pack up and ship back any you don’t keep. We charge you the shipping fees only for any carpets you don’t keep at the deep 60% discount our contract with FedEx gets us. We ship you the underpadding for the carpet(s) you choose. We offer a unique home presentation service for multiple-carpet projects anywhere in USA for room-size, oversize or collectible rugs. Enjoy the salon experience in your own home, as one of our senior carpet consultants and support staff show you numerous pre-selected rugs for each space you wish to furnish. This allows you to compare sizes, color balances, and different styles that help you to determine the very best choice for each space.